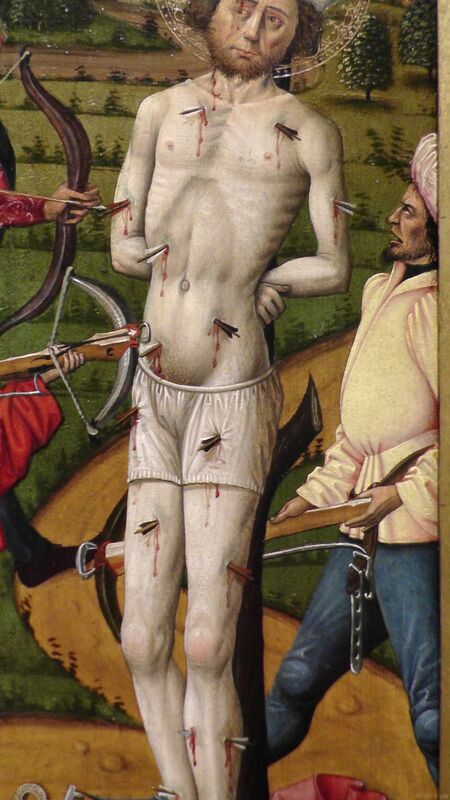 Historical Dress & Textiles research blog – Page 2 – Nic's PhD research: "Grim(m) Perspectives: contextualising text through historical textile"
It is rare to find three-dimensional depictions of clothing, but with this wood-sculpted shrine from 1535-40 (Lower Rhine area) we have access to a variety of angles and views of dress of the period. 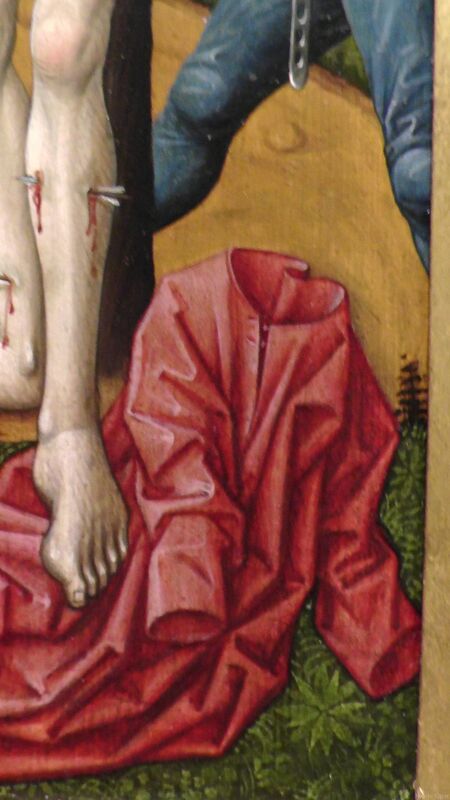 Depicted is the Passion of Christ, with protagonists dressed in high fashion. 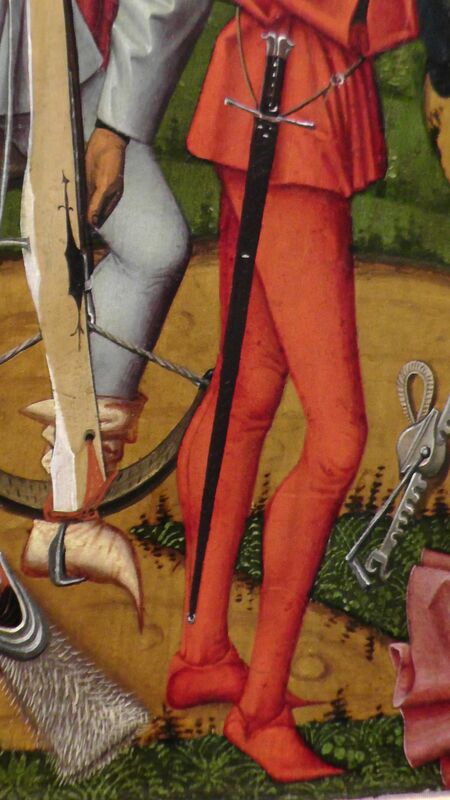 I am planning to return to the Museum Schnuetgen, which is truly a treasure trove for late medieval textiles, plus so much more, and when I do I will make sure my camera’s battery does not run out midway through. As it was, the photos were taken by my usual camera and also by my phone. Fortunately the quality of the latter was better than I had feared. Enjoy the top, back, front, side, upwards and downwards views of sculpted dress-details. 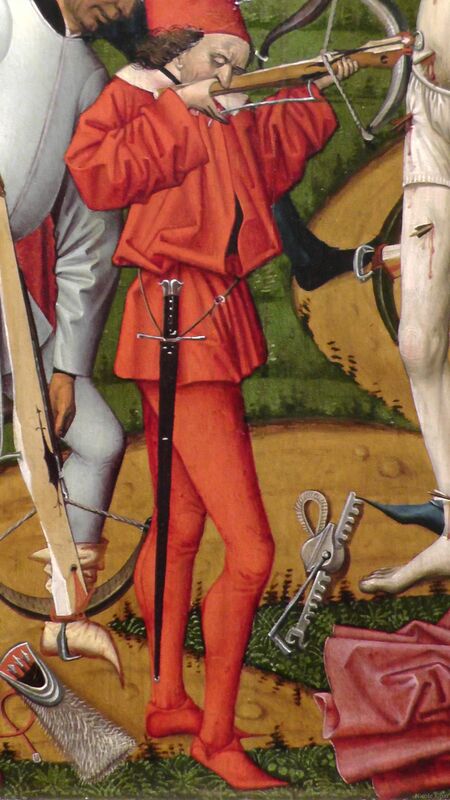 Katrin Kania’s blog “Togs from bogs and other dirty laundry from medieval times!” One of the best books I have ever seen/read/obtained/pawed with abandon and found incredibly useful is Katrin’s book Kleidung im Mittelalter. Materialien – Konstruktion – Nähtechnik. Ein Handbuch. 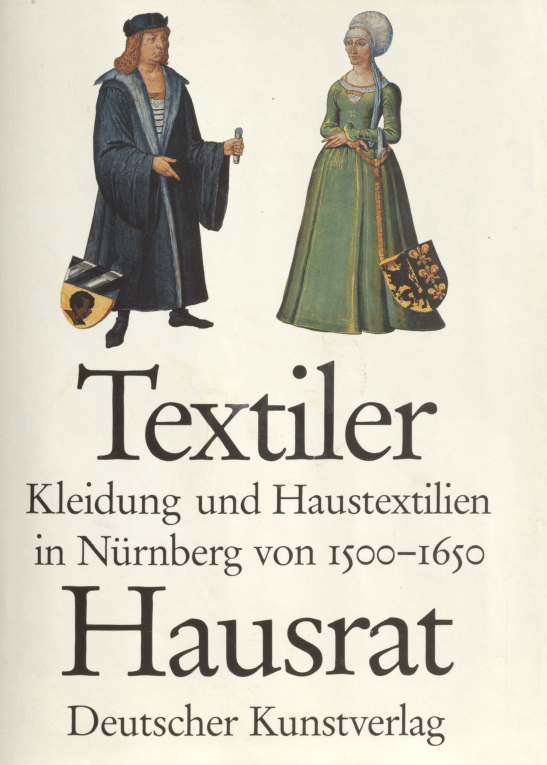 German-language (thankfully I am bilingual) book about materials, sewing techniques, the development of tailoring techniques and a reconstruction of the tailoring techniques of the Middle Ages as well as a catalogue listing extant garments from 500 to 1500. With illustrations and an English summary. 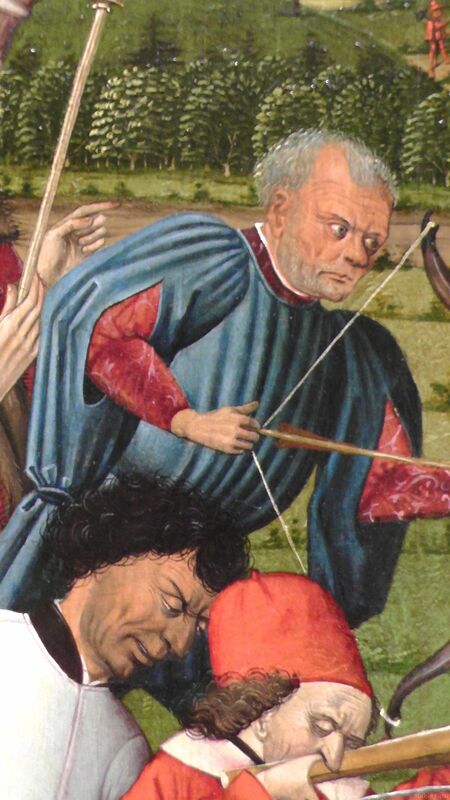 Excellent and well-researched practice-based blog by Isis Sturtewagen, a researcher at the Centre for Urban History at the University of Antwerp. 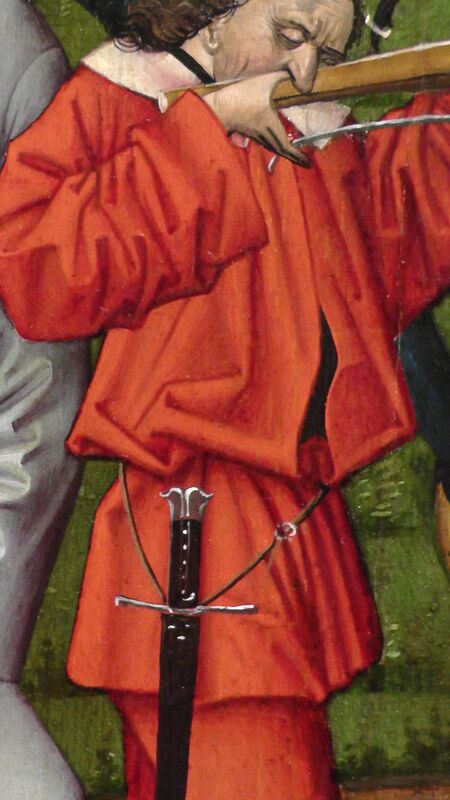 She is completing a PhD on dress and fashion in the Low Countries during the fifteenth and sixteenth centuries, which I can’t wait to read. Very interesting Finnish blog (part of it in English) by a lady who researches and recreates medieval dress and textiles. Don’t be fooled by her claiming not to be a “professional historian”, her rigorous approach to research & recreation is highly recommendable. Stunning blog by Swedish classically trained tailor Cathrin Åhlén. 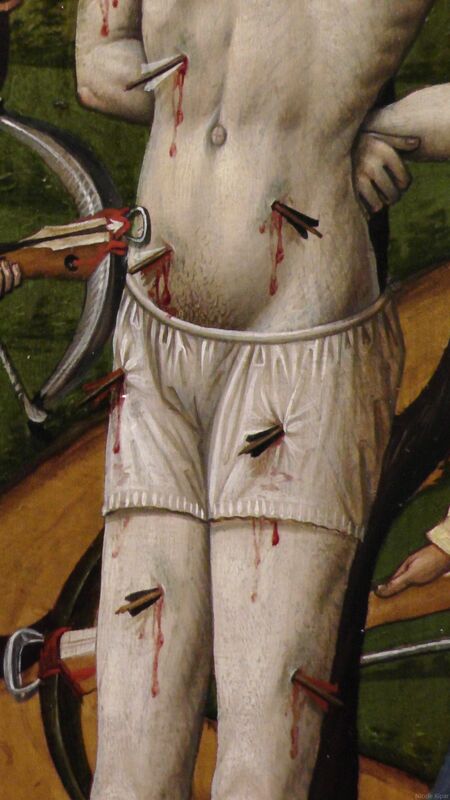 She offers very well researched tutorials on a number of period clothing (focused on 14th and 16th centuries) with detailed photos. Cathrin’s sewing skills are awe-inspiring and her background of being a tailor, combined with her creative & researched approach to recreating historical dress is truly noteworthy. Goodness, where did the last two months and a bit go? In a work-mad blur of the new academic year! Anyway, here are some close-up photos of the Swiss Colonel Wilhelm Froelich, who ignored Zwingli’s Reisläufer ban and went to war for the French side. This meant that he lost his status as a Zürich citizen, but in 1556 he was ennobled by the French king. 1660-80 pink silk stays, Victoria & Albert museum. Photos taken in April 2003. 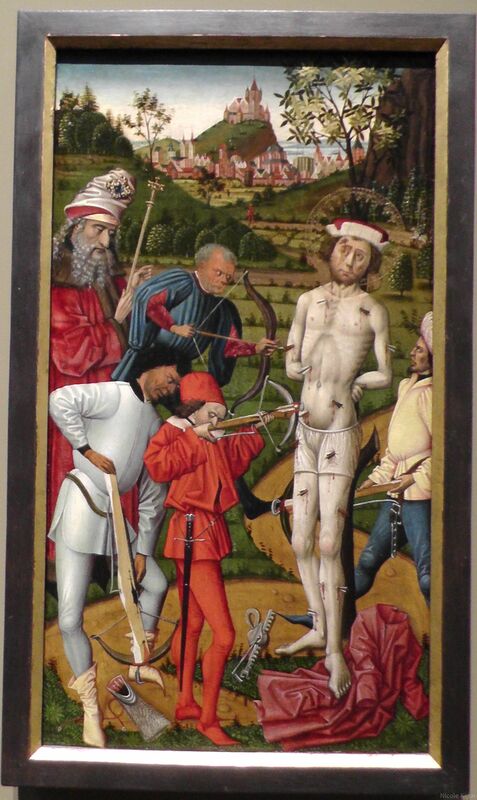 Photos taken in August 2015 in the Wallraf-Richartz museum in Cologne. 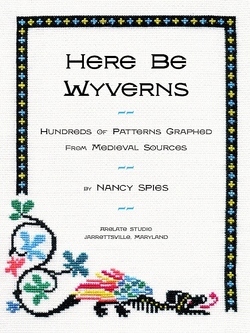 Nancy Spies’ excellent historical tablet weaving publications available on her website! 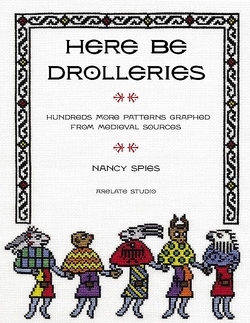 I hate to use the word “cheap”, because nothing is cheap about Nancy’s invaluable work on historical tablet weaving and patterns, but have you tried purchasing a copy? As dear as gold-dust on the used book circuit since they are not otherwise available as hard copies. Imagine my surprise and immense delight when I realised that Nancy sells her books on her website as PDFs to download. They are the exact same publications as the printed versions, and you won’t believe the prices, it is wonderful. You may even order a printout of the books. The wording below was taken from Nancy’s website. 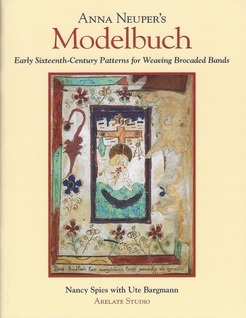 This book details the history of the craft of brocaded tablet weaving from the sixth to the sixteenth century. It analyses data from the bands, including their metallic and fiber content. 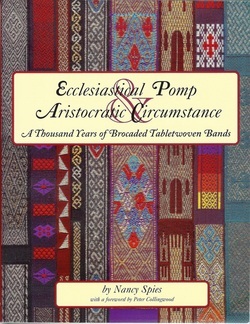 It presents examples of tablet weaving in literature and art and describes the types of patterns and where they were produced. bands and gives an overview of historical looms and tablets. In addition, the author has graphed numerous historical brocading patterns. The book concludes with a catalogue of brocaded tabletwoven bands and an annotated bibliography. The errata pages have been included at the end of the book. pattern books for any textile technique. These patterns have been transcribed into modern charts and are presented with background information by Nancy Spies with Ute Bargmann. This book is a must for every tablet weaver and anyone who can work from graphed designs. craftsperson who uses graphed designs. The patterns have been taken from sources dating from the sixth to the sixteenth century C.E., and every sources is documented. 400 patterns to inspire you. 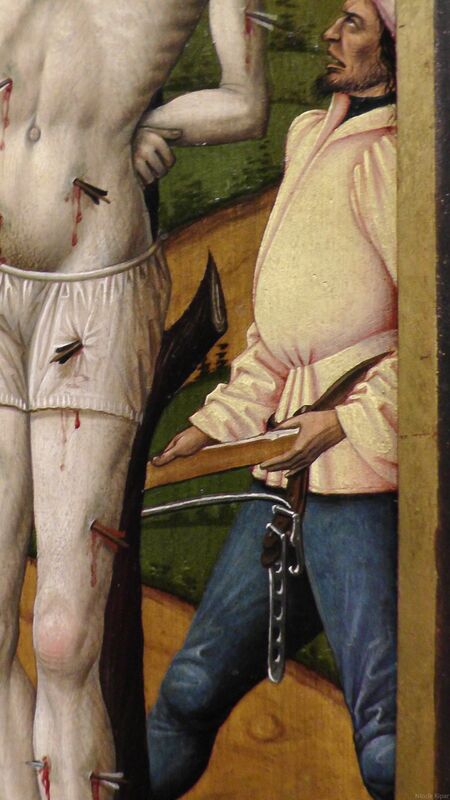 This book is a second treasure trove of over 400 designs graphed from medieval sources. as cross-stitch, knitting or crochet, for weaving or mosaic work, or even for stenciling a child’s room. Reliquary bust with Kruseler veil, around 1350. Cologne, walnut wood.